The number of international hotels of at least three-star standard here will rise to 32 when six more under construction are completed. The six new hotels will provide more than 1,500 rooms when ready. There are currently 26 hotels of three-star and above standard with a total of 4,728 rooms, according to CH Williams Talhar Wong and Yeo Sdn Bhd (WTWY). Among the new hotels being built is the RM46mil Riverside Majestic Hotel 2, which is expected to be completed middle of next year. The 288-room hotel, which will have a twin tower concept, is located next to Riverside Majestic Hotel in the city’s golden triangle. It is developed by Sarawak Economic Development Corporation, which also owns and operates hotels in the Santubong peninsula. According to WTWY in its latest half-yearly property bulletin, there are six more three-star and above hotels with an estimated 1,825 rooms proposed in the state capital. Bintulu is the only other major town which had one three-star hotel project being implemented in the first six months. The new hotel will add 336 rooms to the industrial town, which currently has four international class hotels with a total of 592 rooms. There are two more hotel projects with a combined of 186 rooms being proposed in that town, which is experiencing a fresh industrial boom with the implementation of mega energy-intensive industries under the Sarawak Corridor of Renewable Energy initiative. 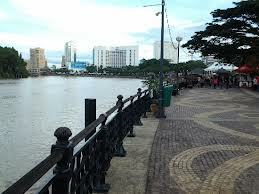 Sibu currently has five hotels of at least three-star standard, offering a total of 1,022 rooms. There is no new hotel under construction or being proposed. In Miri, there are at present seven international class hotels, including one upgraded from service apartment. Together they provide 1,290 rooms. It was reported recently that a 24-storey hotel and an 18-storey residential suit that should provide 328 rooms and suites at Miri Waterfront, would be ready by late 2015. According to WTWY, being proposed in the oil-rich city is a 560-room hotel.